The World's Easiest Christmas Tree! Register to receive discounts and instantly unlock FREE expedited shipping on any Easy Treezy product. 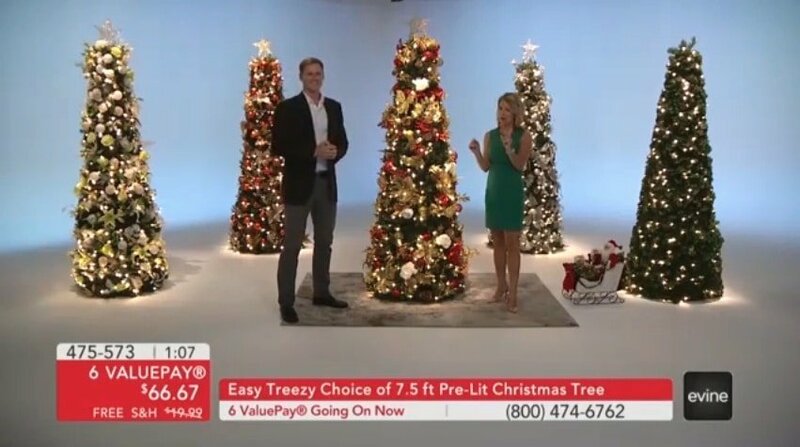 Check out Easy Treezy featured on Evine! Great chance to get a close up look at all the Easy Treezy designs and features. Be sure to watch the famous 60 Second Easy Treezy Assembly! This entry was posted in Easy Treezy News. Bookmark the permalink. Where Do Christmas Presents Belong? Christmas Trees: A Toddler Appeasing History?